Want to experience the wilds of the Yellowstone Ecosystem, but don't want bother with tons of hiking? Go on an adventurous horseback ride! With trips both inside and outside of Yellowstone National Park, these trips provide you with ample opportunity to see wildlife, wild flowers and mountain vistas. Whether you're in the mood for a short scenic ride, a multiple day excursion, or something in between, there is a trip for everyone. Operates three secluded cabins with stunning mountain views on the historic Stermitz Ranch. Originally founded in 1883, has been in continuous family owners since 1900. 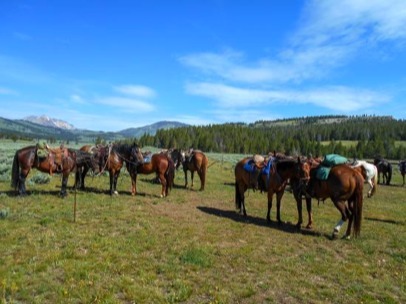 Located north of Yellowstone National Park in Cinnabar Basin, Wilderness Connections specializes in horseback rides, guest ranch operations and vacation rentals, and big game hunting in the fall. Take a vacation horseback riding in Yellowstone National Park. Horseback rides half day and full day trips, overnight pack trips, fly fishing trips, as well as custom trips and pack trips. 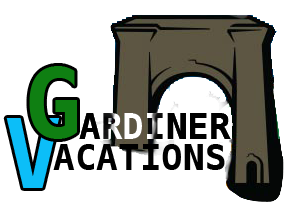 All trips in Yellowstone National Park! All guides have degrees in wildlife biology and are ready to make your adventure memorable. We offer horseback rides, fishing trips, pack trips, lodging in cabins and tents and a nightly steak cookout with campfire. 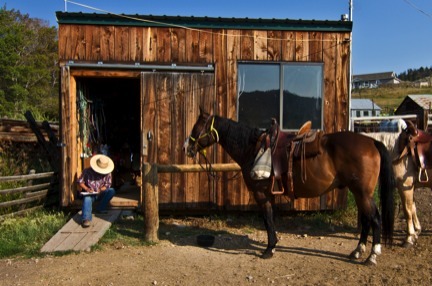 We take hourly horseback rides out of our lodge which is located in the mountains above Gardiner. Outfitting, Horseback rides, photo/fishing mountain pack-trips. Hunting. Any outdoor activity for the enthusiast of Mother Nature! Check out our website for photos and details!